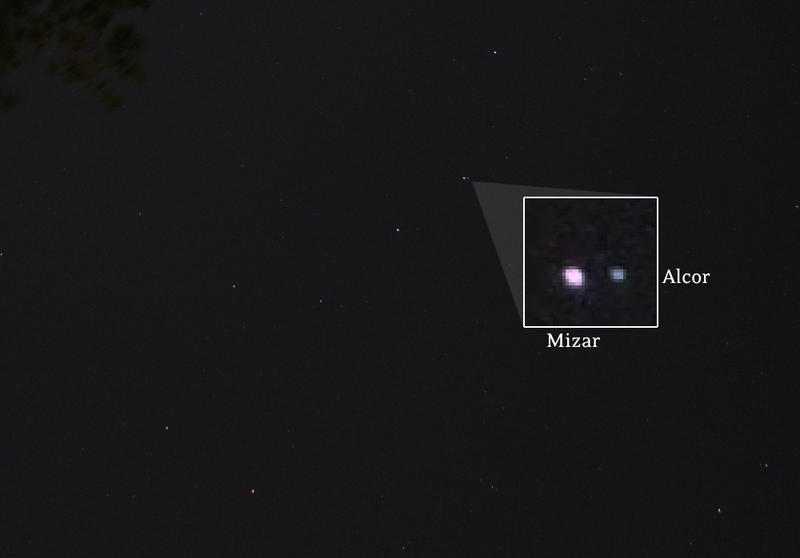 My last image of the double (triple) star in the handle of the Big Dipper, Mizar and Alcor, was a little stretched because it was toward the outside of my frame. This time, under a 15 sec exposure, there is minimal trailing. 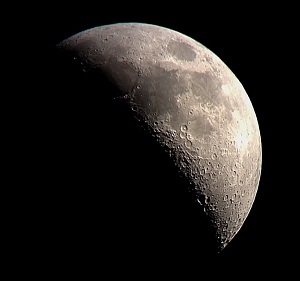 I adjusted brightness and contrast in Photoshop. I think the differences in star colors I get in my photos is fascinating, but after reading an article on Point and Shoot Astronomy, I'm doubting whether the colors I'm picking up are true colors or an artifact of something called an RGBG Bayered sensor. 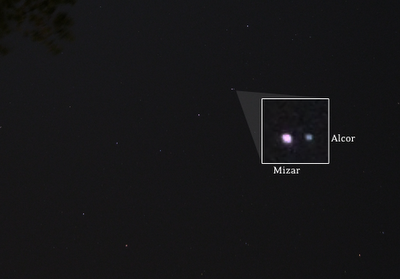 Once again, I'm realizing how little I know about cameras, astronomy, and light detection. Either way, that's part of the blogging process. 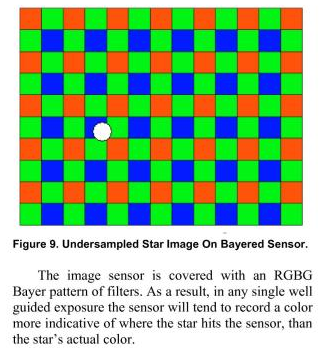 If I wasn't writing a blog, I would never have bothered to look up what a Bayer filter is, and how it might impact apparent star color.